The band was signed to Interscope in July 1991 following a performance at the Gavin Convention, where they opened for Primus on Valentine's Day of the same year. As they began pre-production for their debut album, Day was fired and replaced by Richardson. In 1992, while recording Bigger, Better, Faster, More! 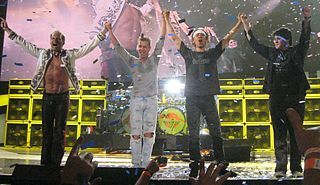 the album's producer, David Tickle, felt that Hall's guitar playing was "not happening" so she was let go from the band as well. Guitarist Louis Metoyer finished the record. Roger Rocha joined after completion of the album and stayed with the band until 1994. After leaving the Blondes in 1991, Day continued drumming with Malibu Barbi,  and then Bad Dog Play Dead. In late 1992 she had an accident and crushed her legs and broke her back, which made drumming very painful. [ citation needed ] She moved out of San Francisco in 1995, spent some time in Arizona and eventually went back to Salt Lake City. [ citation needed ] Day died on July 10, 1997,  according to Christa Hillhouse,  and is buried in Tropic, Utah. The Gavin Report was a San Francisco-based radio industry trade publication. The publication was founded by radio performer Bill Gavin in 1958. Its Top 40 listings were used for many years by programmers to decide content of programs. The publication was also responsible for running the Gavin Seminar, a convention for radio industry members. 4 Non Blondes contributed the song "Mary's House" to the film Wayne's World 2 in 1993. They also covered Van Halen's "I'm the One" on the soundtrack for Airheads . They contributed "Bless the Beasts and Children" to a 1994 The Carpenters tribute album If I Were a Carpenter , and "Misty Mountain Hop" to the 1995 Encomium tribute album to Led Zeppelin. Airheads is a 1994 American comedy film written by Rich Wilkes and directed by Michael Lehmann. It stars Brendan Fraser, Steve Buscemi and Adam Sandler as a band of loser musicians who stage a hijacking of a radio station in order to get airplay for their demo recording. Joe Mantegna, Michael McKean, Ernie Hudson, Judd Nelson, David Arquette and Michael Richards play supporting roles. The group disbanded in late 1994 during the recording of their second album. [ why? ] Lead vocalist Linda Perry went solo in 1995. She has since released solo work, produced and written songs on hit albums by Christina Aguilera, Alicia Keys, Pink, Gwen Stefani, Courtney Love and Kelly Osbourne. Hall has recorded, produced, composed for and performed with various artists, including vocalist Storm Large (1999–2001), guitarist Eric McFadden (1995–2001) and funk pioneer George Clinton & Parliament Funkadelic (2002– ) and released "Electrofunkadelica: e3+FUNKnth = music for the body, mind & soul", a self-produced project in 2006 on Make Music, Not War! Records. Linda Perry is an American singer-songwriter, musician, and record producer. 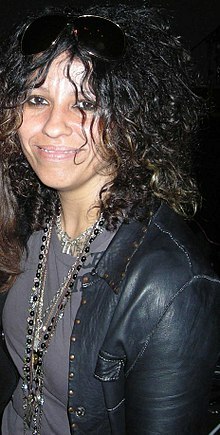 She was the lead singer and primary songwriter of 4 Non Blondes, and has since founded two record labels and composed and produced hit songs for several other artists. They include: "Beautiful" by Christina Aguilera; "What You Waiting For?" by Gwen Stefani; and "Get the Party Started" by P!nk. Perry has also contributed to albums by Adele, Alicia Keys, and Courtney Love, as well as signing and distributing James Blunt in the United States. Perry was also inducted into the Songwriters Hall of Fame in 2015. Christina María Aguilera is an American singer, songwriter, actress and television personality. Her work has earned her five Grammy Awards, one Latin Grammy Award, and a star on the Hollywood Walk of Fame. She has sold more than 75 million records worldwide, making her one of the world's best-selling music artists. In 2009, she ranked at number 58 on Rolling Stone's list of 100 Greatest Singers of All Time, thereby becoming the youngest and the only artist under 30 to be named. Billboard recognized her as the 20th most successful artist of the 2000s, and in 2013, Time included Aguilera on their annual list of the 100 most influential people in the world. An all-female band is a musical group in popular music that is exclusively composed of female musicians. This is distinct from a girl group, in which the female members are solely vocalists, though this terminology is not universally followed. While all-male bands are common in many rock and pop scenes, all-female bands are less common. Third Eye Blind is an American rock band formed in San Francisco in 1993. The songwriting duo of Stephan Jenkins and Kevin Cadogan signed the band's first major-label recording contract with Elektra Records in 1996, which was later reported as the largest publishing deal ever for an unsigned artist. The band released their self-titled debut album in 1997, with the band largely consisting of Jenkins, Cadogan, Arion Salazar, and Brad Hargreaves (drums). 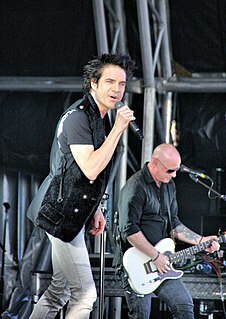 Shortly after the release of the band's second album in 1999, Blue, with the same line-up, Cadogan was released from the band under controversial circumstances. The Steve Miller Band is an American rock band formed in 1966 in San Francisco, California. The band is led by Steve Miller on guitar and lead vocals. The group is best known for a string of (mainly) mid- to late-1970s hit singles that are staples of classic rock radio, as well as several earlier psychedelic rock albums. Miller left his first band to move to San Francisco and form the Steve Miller Blues Band. Shortly after Harvey Kornspan negotiated the band’s contract with Capitol Records in 1967, the band shortened its name to the Steve Miller Band. In February 1968, the band recorded its debut album, Children of the Future. It went on to produce the albums Sailor, Brave New World, Your Saving Grace, Number 5, Rock Love and more. The band's Greatest Hits 1974–78, released in 1978, sold over 13 million copies. In 2016, Steve Miller was inducted as a solo artist in the Rock and Roll Hall of Fame. "What's Up?" is a song by American rock group 4 Non Blondes from their 1992 debut album, Bigger, Better, Faster, More! It was released as the album's second single in 1993. It was successful in the United States and in several European countries, peaking at number one in Austria, Belgium, Bulgaria, Germany, Iceland, Ireland, the Netherlands, Norway, Poland, Sweden, and Switzerland. Alexander Nathan Skolnick is an American musician who is best known as the lead guitarist in the thrash metal band Testament from 1983 to 1993, and again from 2005. He has also performed with the Alex Skolnick Trio, Trans-Siberian Orchestra, Savatage and Metal Allegiance. Noiseworks are an Australian hard rock band formed in Sydney in 1986 with bass guitarist Steve Balbi, guitarist Stuart Fraser, drummer Kevin Nicol, keyboardist Justin Stanley and lead vocalist Jon Stevens. 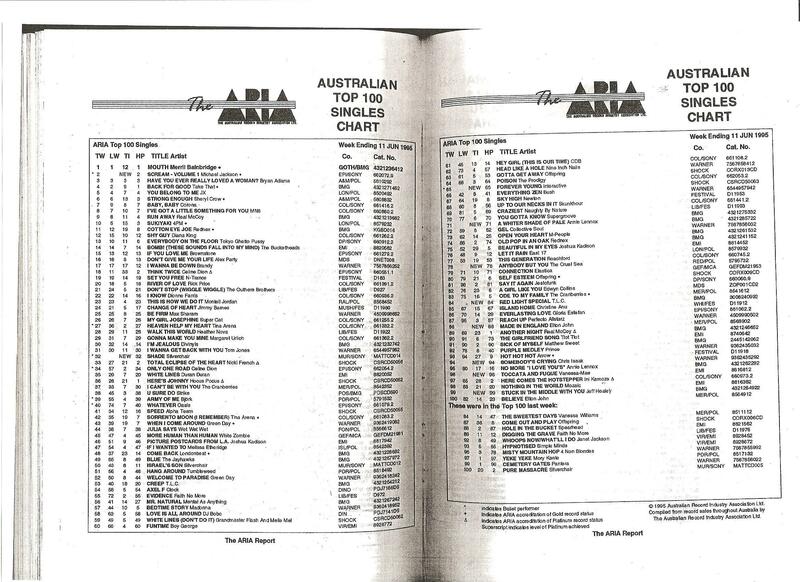 They had four Australian Top 10 albums, Noiseworks, Touch, Love Versus Money and Greatest Hits. They produced three Top 10 singles, "Take Me Back", "Touch" and "Hot Chilli Woman" before disbanding in 1992. Reunion tours occurred in 1999, 2004, 2007–2008 and 2011. Chris Traynor is an American guitarist, bassist and studio musician. 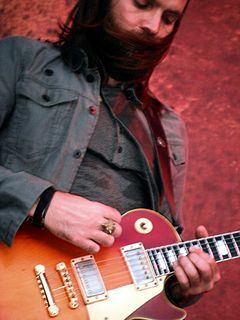 He has played with Orange 9mm, Helmet, Bush, Rival Schools, Institute, Gavin Rossdale, and High Desert Fires. Storm Large is an American singer, songwriter, actress and author. She attracted national attention as a contestant on the CBS reality television show Rock Star: Supernova. For many years solely a rock artist, in recent years she has branched out into the theater and cabaret world. A resident of Portland, Oregon, she currently balances performing with her own band in venues around the country and touring with the Portland-based band Pink Martini around the world. Todd Stuart Hunter is a New Zealand musician and composer known for his involvement in the band Dragon. Their best known songs are "April Sun in Cuba", "Are You Old Enough? ", "Still in Love With You", and "Rain". Hunter also composed John Farnham's hit song "Age Of Reason" with Johanna Pigott and music for film Daydream Believer (1991) and TV series Heartbreak High (1994–1999). "Love in an Elevator" is a song performed by American hard rock band Aerosmith, written by Steven Tyler and guitarist/backing vocalist Joe Perry. It was released in August 1989 as the lead single from their third album with Geffen Records, Pump, released in September. It peaked at number 5 on the Billboard Hot 100 and reached number 1 on the Hot Mainstream Rock Tracks chart. Roger Rocha is an American songwriter, guitarist and vocalist from San Francisco, California of Mexican American and Scottish-Irish origin. Wild Rose was an American country music band founded in 1988 by five women: Pamela Gadd, Kathy Mac, Pam Perry, Nancy Given, and Wanda Vick. Between 1988 and 1991, they recorded three studio albums, including two on Liberty Records. In that same time span, they charted three singles on the Billboard Hot Country Singles & Tracks charts. Since their disbanding in 1991, Wanda Vick has worked as a session musician. Gadd has continued to write and perform in the music industry, and was featured as part of country music legend Porter Wagoner's band until his death in 2007. Gadd and Wagoner recorded an album of duets together. Gaetana is the debut album by Italian pop singer Giusy Ferreri, it was released on November 14, 2008 in Italy, and digitally in many other European countries. Four singles were released from the album: "Non ti scordar mai di me", "Novembre", "Stai fermo lì" and "La scala ". Gaetana has sold around 500,000 copies only in Italy being certified 6 times platinum and around 600.000 copies worldwide. Shaunna Elizabeth Hall is an American composer and musician from the San Francisco Bay Area. As guitarist, she was a founding member of the band 4 Non Blondes and is currently a member of George Clinton's Parliament-Funkadelic. Dawn Richardson is an American rock drummer, teacher, and writer of instructional books on percussion. She is best known as drummer for the San Francisco-based band 4 Non Blondes from 1991 to 1994. 1 2 Morrissey, Alanis (2000). The Great Rock Discography (5th ed.). Edinburgh: Mojo Books. p. 355. ISBN 1-84195-017-3. ↑ Indiana, Gary (July–August 1991). "4 Non Blondes Interview". Flipside Magazine. ↑ "Earthquake". Time Magazine. Time Inc. October 30, 1989. Archived from the original on 24 December 2008. Retrieved 2008-11-13. ↑ Chun, Kimberly. "Noise: Miss understood". The San Francisco Bay Guardian. The San Francisco Bay Guardian. Archived from the original on 2012-10-28. Retrieved 2008-11-13. ↑ Hall, Shaunna. "Life and Times of Wanda Day". Loudith Faire. Archived from the original on 2008-12-16. Retrieved 2008-11-24. ↑ "Death: Wanda Marie Day". Deseret News . Retrieved 30 April 2014. ↑ Kimberly Chun. "Miss Understood". San Francisco Bay Guardian. Archived from the original on 2012-10-28. Retrieved 2014-06-18. ↑ Breihan, Tom (2014-05-11). "Watch A Reunited 4 Non Blondes Play "What's Up" For The First Time In 20 Years". Stereogum . Spin Media . Retrieved 2014-05-12. ↑ "Linda Perry & Christa Hillhouse 1999". World News Network . 29 June 2010. Retrieved 23 April 2017. ↑ Christa, Hillhouse. "Linda Perry Tour 1999". CHILLHOUSE MUSIC. Christa Hillhouse. Retrieved 24 April 2017. ↑ Christa, Hillhouse. "CHILLHOUSE MUSIC". Four Non Blondes. Christa Hillhouse. Retrieved 24 April 2017. ↑ "Chart Stats – 4 Non Blondes". billboard.com. Retrieved 2011-11-17. ↑ "Discographie 4 Non Blondes". AustrianCharts.at. Retrieved 2011-11-17. 1 2 "Suche nach '4 Non Blondes'" [Search for '4 Non Blondes']. Charts.de (in German). Media Control AG . Retrieved 2014-01-03. ↑ "Discografie 4 Non Blondes". DutchCharts.nl. Retrieved 2011-11-17. ↑ "Discography 4 Non Blondes". norwegiancharts.com. Retrieved 17 November 2011. ↑ "Discography 4 Non Blondes". Charts.ord.nz. Retrieved 2011-11-17. ↑ "Discography 4 Non Blondes". SwedishCharts.com. Retrieved 2011-11-17. ↑ "Discography 4 Non Blondes". SwissCharts.com. Retrieved 2011-11-17. 1 2 "Official Charts > 4 Non Blondes". The Official UK Charts Company . Retrieved 2017-03-25. ↑ "Searchable Database". Recording Industry Association of America. Archived from the original on 2007-06-26. Retrieved 2011-11-17. Note: User must define 'Artist' search parameter as "4 Non Blondes". ↑ "Gold/Platin". Gold-/Platin-Datenbank (in German). Bundesverband Musikindustrie. Archived from the original on 2015-11-24. Retrieved 2014-01-03. ↑ "Certified Awards Search" Archived May 11, 2011, at the Wayback Machine . British Phonographic Industry. Retrieved on 2011-11-17. Note: User needs to enter "4 Non Blondes" in the "Search" field, "Artist" in the "Search by" field and click the "Go" button. Select "More info" next to the relevant entry to see full certification history. ↑ "4 Non Blondes". Billboard. Retrieved 7 December 2013. ↑ "4 NON BLONDES IN DER ÖSTERREICHISCHEN HITPARADE". Austriancharts.at. Retrieved 7 December 2013. ↑ "4 NON BLONDES – WHAT'S UP?". Ultra Top. Retrieved 7 December 2013. ↑ "4 NON BLONDES DANS LES CHARTS FRANÇAIS". lescharts.com. Retrieved 7 December 2013. ↑ "4 NON BLONDES IN DUTCH CHARTS". dutchcharts.nl. Retrieved 7 December 2013. ↑ "4 NON BLONDES IN NORWEGIAN CHARTS". Norwegiancharts.com. Retrieved 7 December 2013. ↑ "4 NON BLONDES IN NEW ZEALAND CHARTS". Charts.org.nz. Retrieved 7 December 2013. ↑ "DISCOGRAPHY 4 NON BLONDES". Swedishcharts.com. Retrieved 7 December 2013. ↑ "4 NON BLONDES – WHAT'S UP?". Hitparade.ch. Retrieved 7 December 2013.